Jaw agog and eyes glazed, junk food wrappers strewn across the floor, pulled blinds desperately barring any sunshine from penetrating the room. This is the caricature of the teenage gamer’s habitat; shutting out the world outside in favour of another inside – a fictional reality where mindless hours are spent wasted in front of a screen, as the pressing issues of the real world go ignored. And yet, as much as this scene is not unfamiliar in modern tropes, it is also wholly false. Young people today are more connected and have more access to information than ever before. Indeed, it is not the above sketch of insularity that risks warping a generation’s sense of the world. Rather, it is the corruption of extreme inter-connectedness that has had people fearing for Western democracies: filter bubbles and echo chambers, and the opportunities for manipulation these phenomena bring. The use of VR and gamified learning tools, contrary to lazy stereotypes, can in fact help the youth of today understand the realities of modern governance. Ensuring today’s children become empathetic and informed global citizens requires combatting the growing issues of political myopia and blind partisanship. The methods that have kept gamers hooked on the latest release are being utilised to educate the youth of today of their civic responsibilities. Literature has long been championed as the primary means of achieving this, enabling readers to gaze into other worlds, giving not only a view onto the lives of others, but a view into their very sense of self. The argument has been that this form of media provides a richness, depth, and transformative power which other forms simply cannot match. However, new forms of technology and gamified learning techniques are calling into question this old order. VR technology is enabling content to be developed that places the user in an immersive world, one that that allows the participant to – almost literally – walk in the shoes of others. Utilising this technology in the classroom provides a means to truly connect today’s generation. After all, global citizenship is not about learning facts and figures, it is about understanding the problems and perspectives of others, and how this impacts upon an individual’s own actions. 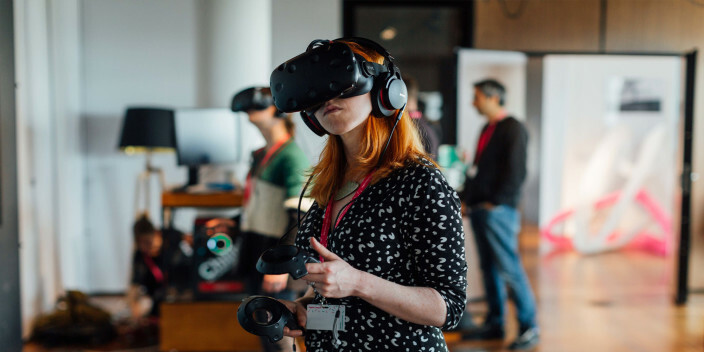 Organisations such as Unfold Stories have already made valuable progress in this area, producing a VR video that places the viewer in the position of a Syrian refugee. However, more can be done to produce engaging content, moving this technology from an interesting novelty to an entire media form. The answer to doing so lies in the techniques employed by a host of popular apps. Waze, Farmville, and Duolingo ensure their repeated use by offering participants points, level-ups, and bonuses to loyal users. Educators have long known the power of these psychological nudges. The awarding of gold stars to deserving students is, it shouldn’t be forgotten, something of an analogue version of just this type of learning method. Using these techniques, in combination with immersive technology, may just shift people into becoming actively engaged citizens, rather than bystanders in global affairs. There are already positive movements in this space. Mobile games such as @stake and the learning portal iCivics, founded by former Supreme Court Justice Sandra O’Connor, aim to teach users of the challenges and processes of governance, and the trade-offs required when deciding how to manage scarce resources. 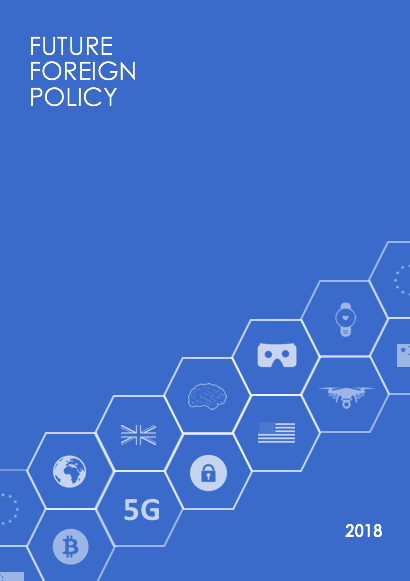 A suite of products focussing upon global citizenship, encompassing VR/AR and gamified learning techniques, and easily available to educators, may thus provide the means of broadening the minds of today’s youth. While technology has created new problems for the effective functioning of democracies, it is in technology that the solution is also likely to lie. Providing this educational offering, and delivering it across schools in different parts of the world, becomes the next challenge.